Top Things to Do in Mauritius! Mauritius needs no introduction as it is one of the world’s most loved beach destinations. The island is home to a culturally diverse nation with a wonderful display of influences from across the world. That said, there is a great number of activities to enjoy and participate in when you’ve already done all of the usual. From water sports to adventure travel, there is plenty to look forward to during your stay. Make your trip a wonderful and exciting one with Travelstart’s list of top things to do in Mauritius. Image courtesy of @wecame_wesaw_weate via Instagram. 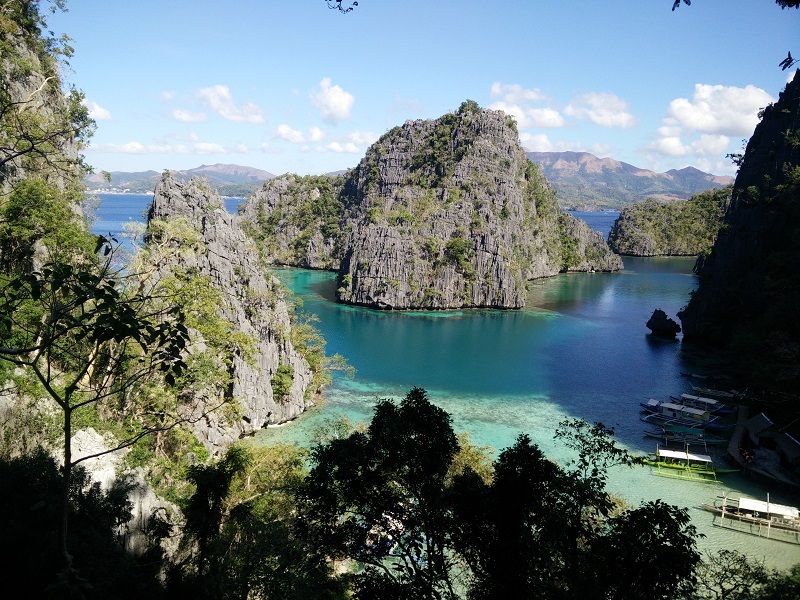 The main attraction of this beautiful island would definitely be its beaches! Mauritius is known for its warm waters, fantastic weather and crystal-clear swimming conditions – all year long. Depending on the time of year that you decide to visit, you may even get lucky and have a beach all to yourself! 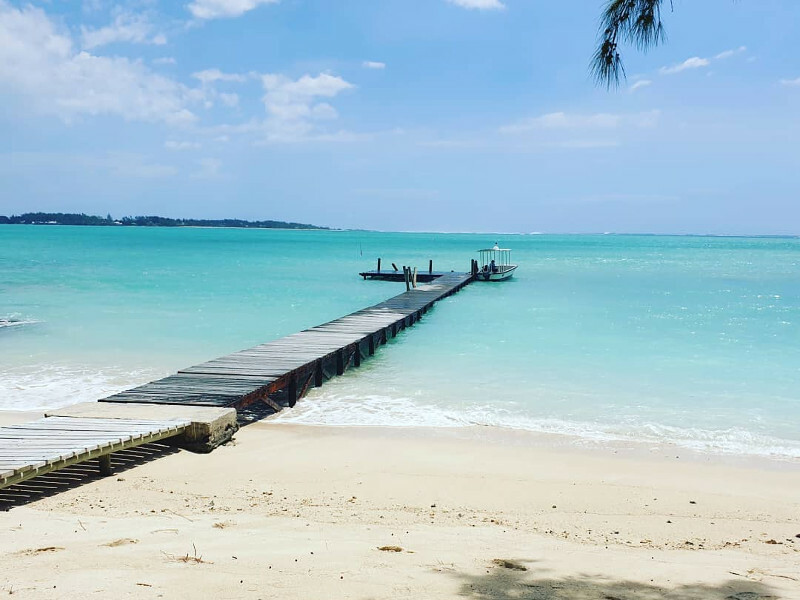 Make sure to visit the sandy oasis of Trou aux Biches, Ile aux Cerfs and Mont Choisy. Have a look at our list of the top beaches to visit in Mauritius. Mauritius is a world-class destination that is known for its impressive coastline and coral reefs. There is plenty to enjoy in the waters of the island, and most of the resorts cater to them all by organizing your equipment and tour guides. 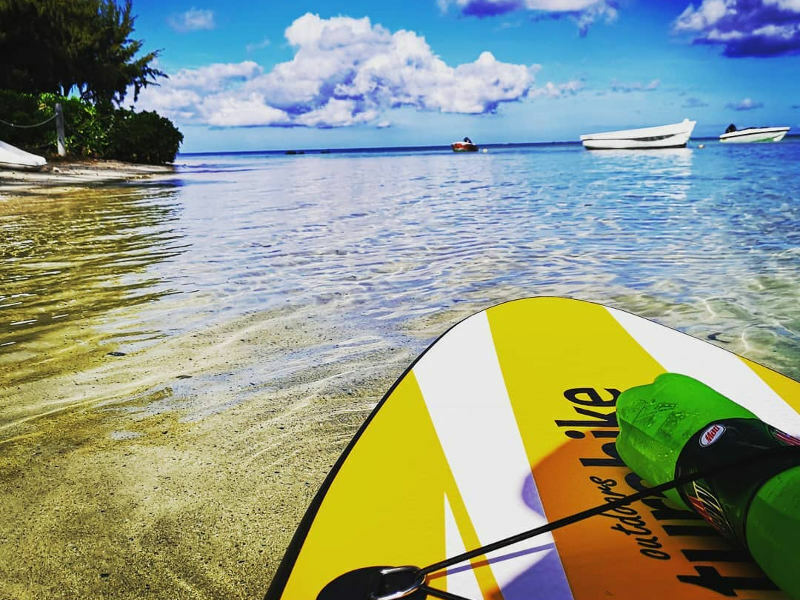 Scuba diving, snorkelling, windsurfing, SUP, water skiing and so much more, Mauritius has it all for the water-loving traveller. Many of the bays are ideal for shallow scuba diving, as you can spot colourful schools of fish and live coral, just a few metres deep into the ocean! There are many who visit the island for the sole purpose of diving in Mauritius and enjoy the snorkelling experience of the island. 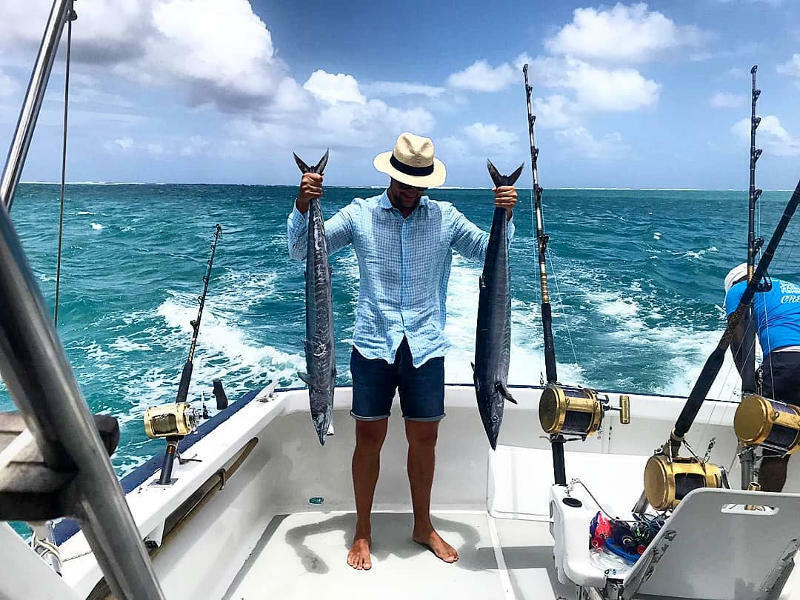 Did you know that deep-sea fishing is one of Mauritius’s famous sports? There is an annual event every year with participants from across the world and is certainly one of the top things to do in Mauritius. Bring your own gear or hire it from one of the many vendors, and make your way to the deep sea on a hired boat. The Indian Oceans surrounding the island is home to white tuna, berracuda, and so much more. 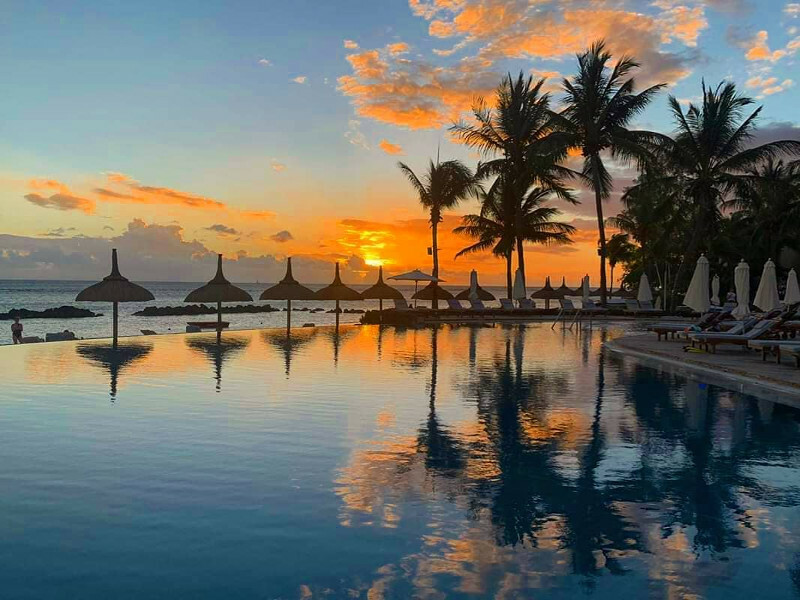 Not just a beach destination, Mauritius has some awe-inspiring natural attractions off East Africa such as the Seven Colours of the Earth at the Chamarel Waterfalls, the Grand Bassin lake, and the extinct Trou auc Cerf volcano. 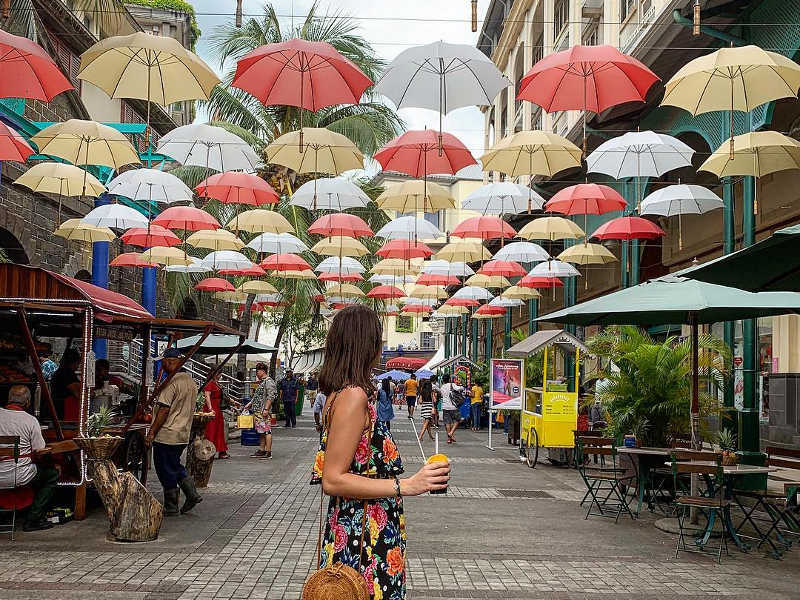 For an easy afternoon, consider visiting some of the local markets of Port Louis and Quatre Borne for your trinkets and souvenirs. Of course, the bays alone are more than enough to enjoy and relax on as the entire coastline is full of stretches of white sand. There is so much adventure that awaits you in Mauritius! You can decide to how adventurous you’d like to go and choose from a variety of things to do such as zip-lining across the tree-tops in a few of the national park or quad biking through the valleys. There are also numerous trails to explore and waterfalls to discover in Black River Georges National Park. You can also join in a tour group and trek through the national parks to spot exotic wildlife and rare birds. 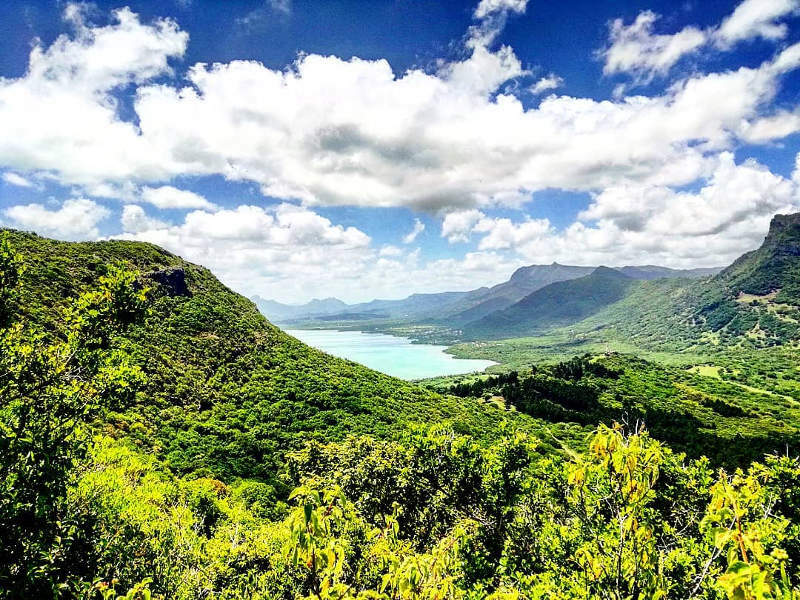 For avid hikers, there are many peaks to conquer, such as Trois Mamelle at 500m above sea level, and Tourelle de Tamarin at 548m, all with wondrous views of the island below. Even while on your dreamy vacation, you will probably need to visit a shopping centre! On a quiet afternoon, make your way to the Bagatelle Mall that’s conveniently located in the centre of the island. Here, you will be able to pick up an affordable swimsuit, catch a movie if you’re in the mood and have a bite to eat. The food court is a big draw card of the mall as there is a large variety of options to choose from. To enjoy Mauritius the way the locals so, venture out of your resort and head to the city centre of the island, Port Louis. Visit the central bazaar and peruse your way through the various stalls to get a feel of typical life in Mauritius. If you’re staying at self-catering accommodation, buy your fresh ingredients here. Mauritius has all the spices that you can think of, so make sure to get some as gifts or for your own kitchen at home. This colonial city is full of great attractions and there are full-day tours of the city available, taking you to all of the must-see sights in the city. Learn all about the interesting history of this island with a trip to the National Museum. Having gone through various rulers before gaining independence in 1866, there is plenty to learn about Mauritius. 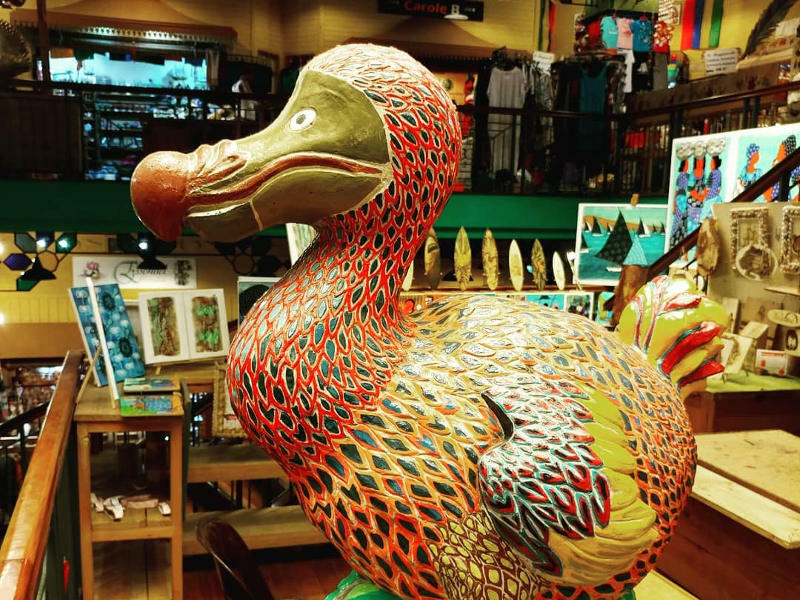 The island nation was once home to the famous dodo, and you can check out the exhibit in its home country. Other interesting museums include The Blue Penny Museum and Stamp Museum too. The local culture of Mauritius is made up of Indian, Creole, Chinese and African communities. There is an immense respect and love for all cultures and faith and this is why it’s such a great idea to spend some of your time on the island, meeting the locals and observing their daily lives. We could certainly all learn a lot from this wonderful nation! 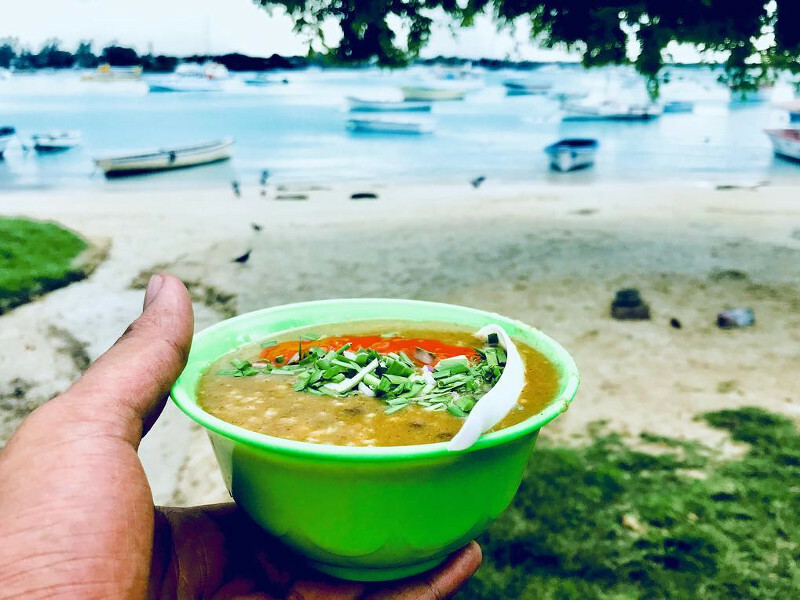 Enjoy this top thing to do in Mauritius and indulge in freshly grilled Creole-spiced seafood, tasty curries eaten from banana leaves and even your much-loved dim-sum from China Town. Enjoy your sundowners with a gorgeous sea view and then head over to one of the many nightclubs found along Grand Bay for a fun night out. The capital city of Port Louis is also known to have some great evening attractions. Mauritius caters to all kinds of nights out and whatever you’re in the mood for you’ll find it. There are classy lounges to don your silver bracelets, beach huts that you can unwind to some reggae music in, jazz bars to listen to live music and chilled-out bars to enjoy. However, you’d like to spend your nights in Mauritius, you’re bound to have a great time. With so much to see and so much more to do, what are your plans when visiting Mauritius? Let us know in the comments below! For the best flight deals and travel information, why not sign up to Travelstart’s newsletter? Chances are, you’ll be packing your suitcase sooner than expected for a trip of a lifetime!